Yes. We will get right on that as soon as every Israeli war criminal is tried and convicted for war crimes against citizens. Get in line. Kick Modi on his raipist a zz and put him on a donkey to Nepal. There he can face trial for genocide. So. What do you think of the Israeli MOSSAD? God's little helpers or...? The ENRON corporation bilked over 100 billion dollars from American citizens and used stolen funds to upgrade India's power grid. And are now charging Indians 3-5 times more for electricity than originally agreed on. Same crap ENRON pulled on California. The Hare Krishna terrorists are out here wearing different colored turbans. Hindoo apologists. America this America that. Israel that and Pakistan this. We have you on our radar. Yup. These people in India want more money aid from us. For Christ's sake we give these hindoo beggars more money than Israel. Enough. No more. Let India starve. No we don't. The US taxpayer is forced to donate about 50 billion dollars per year to Jew beggars and for many years. Get a clue. Q:: Why did the chicken cross the road? Q: Why did the teabagger cross the road? A: To have incestuous relations with his first cousin. Q: Why did Sarah Palin cross the road? A: To watch the teabagger do his cousin. FYI Sarah Palin crossed the cow path to make love with Blue Saffron. India is No.1 recipient of J apanese financial aid. Food, money, technological assistance, poverty alleviation handouts etc. are being sent as ODA to prevent further collapse of society. We all know that India is the largest recipient of aid from World Bank, IMF, Asian Dev Bank, OECD. For that kind of money them hindoos should be s ukkin or d ikks. We eat Chick-fil-A from Cool Whip bowls and wash it down with Everclear that we keep in mason jars. We love the baby jesus but we love to boink our first cousins even more. No. We are tea party patriots and we are from south of the Mason Dixon line and we only have one tooth. Betcha you are from Suchindram deep south of India raiping newly born girls. We have provided direct and indirect aid to India to the tune of US $500 Billion!!!! And still counting. All we got was BO. Thankfully, Americans have hindus over a barrel and they are rolling them over. Just like they rolled the J apanese over. All of them are dead in the water. Failed experiments. Totally agree with @ Blue Philip. And it doesnt look like theres an end in sight anytime in the near future! We have been financing Israel FOREVER! No Chrissy we have not been financing Israel. You sound just like philip. Facts are facts @ rupert! And YES we have! We have financed Israels murdering military for a very long time! Look it up! You tell 'em, Chrissy. Americans think it's their responsibility to protect "god's chosen people" the Israeli MOSSAD. theirs freaking preachers even say so! And so they give to "poor starving Jews" in Israel thinking God will give them a free pass. Since WWII the US has provided $121 billion in financial aid to Israel. And all grants and loans to Israel by the US have been forgiven by Congress. Which means they never have to be repaid. Not to mention any aid that wasnt a grant or loan, but freely given. THATs what our government does with OUR hard earned tax dollars! Did they ever ask for permission to do so from you @ rupert? Because they sure never asked me, nor anyone i know either! The Indian Debacle has overshadowed the European crisis. GDP that has dropped off the cliff (-2% est), budget deficits, collapse of Indian rupiah, rampant poverty, unemployment, FDI reversal, companies leaving town are some of the disastrous events that are threatening the Indian state. Bo, This also has security repercussions for India and US defense secretary and secretary of state, among others, have flown in to counsel India on how to protect its borders with the help of Israel/IDF. Rumors have it that the breakup of India along the lines of Soviet Union is a very plausible scenario that I am sure intelligence agencies all over the world are factoring in their geopolitical stress tests. Hey Bo & Booms, no sweat. Those snake charmers in bum f ukk bombay are busy raipin up a storm with our tax dollars. This is a circus. 600 comments of mere trash. I see my troll, rupert, continues. These people like Philip, rupert, chrissy, palintwit, and all the countless characters in blue really are a by-product of meaningless gibberish. It is obvious to me that it will never end. CNN should either block the off topic remarks, or just shut this joke of a blog down asap. Hasnt that been your mission all along @ rupert? Just as YOU had TJI shut down. One really has to wonder what kinda wierd motivation you have for that action but it is safe to say its strange at best! And it doesnt matter how many times you change your name, whether its your user name or your legal peti tion to change your birthname from Jeffrey to Adam...in the end its always still YOU causing friction and chaos! 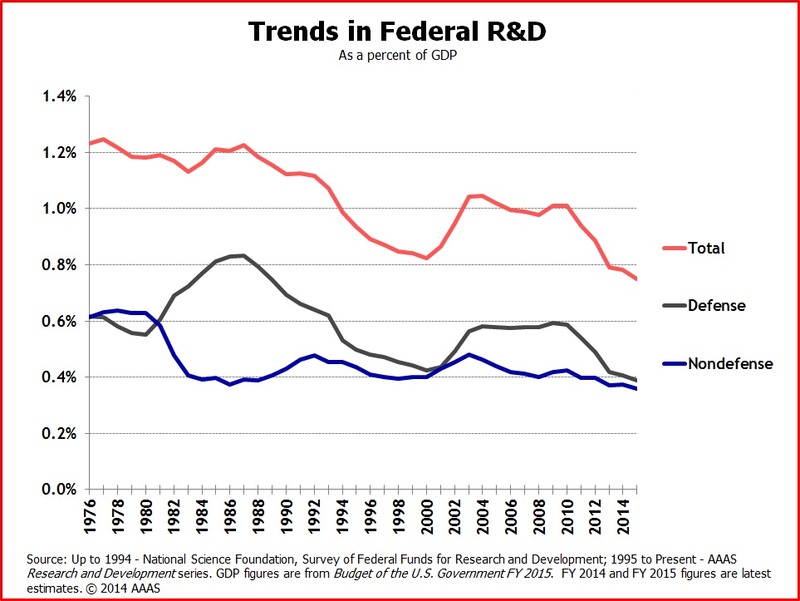 American innovation in trouble? Lol. Take away mind altering drugs from Americans and see what happens. Walking freaking Zombie Apocalypse. That goes for crack cocaine as well as Prozac. Take drugs away and it really gets weird(er). Pardon me chrissy, I have no such mission. And I am not your little friend "rupert." That little man continues to use my name, and I am tired of it. I suggest you read my post again. Hopefully, you will understand it. Taj Mahal (purely by connotation, not size) reminds one of the saying of our dear architect friend Mies Van Der Rohe that “Less is More” and its application to India geo-politically. The recent economic bubble burst and minority backlash in India point to the necessity of imploding India in a controlled manner to make it more manageable administratively, before it ruptures chaotically. The Moghals may have left behind a legacy of regality in India but it was Mies that has given Indians a political concept that may give Indian Hindus a chance at survival albeit in a fragmented form. And there goes Rupert throwing a blanket over everything like an old lady would do. Pick one thing you say is "jibberish" and let's have it out. Am sick of you naysayers saying nothing but nay. Really ticks me off. One final note chrissy. What does the 4:37 obnoxious post have to do with innovation? That was a troll. Trying to get attention or change the topic with an irrelevant comment. This is precisely what I was referring to. Stir the pot Rupert. Your new nickname. This is not about India you morons. We finally have a news article about US and you idiots still want to out Indians down. Jerks. Stir the pot Rupert. Worse than "civil rights workers" fanning the flames of racism for job security. Blue Philip is delusional. I think medications and psychological therapy will help alleviate part or most of his problem. Notice his passive aggressive behavior as he attacks another blogger because the blogger will not talk about Blue Philip's obsession, India. From my perch the greatest american innovation is peppered beef jerky. The Indians pappadums (note that I refrained from the R word). The French, namely the Banc of France, made it possible for the founding fathers to be able to afford a rebellion from England, you ungrateful twit. No. The loans were never paid back. Blue Saffron is delusional. He feels that India is an evil country. It is all in his mental deficiencies. He really needs to be confined in a padded room. With his other devices, he may post as Hannah, Cantor, Black Betsy, etc. And all in blue of course. My troll, you must have missed me. I don't use the word doctor before my name Unless you are a patient.